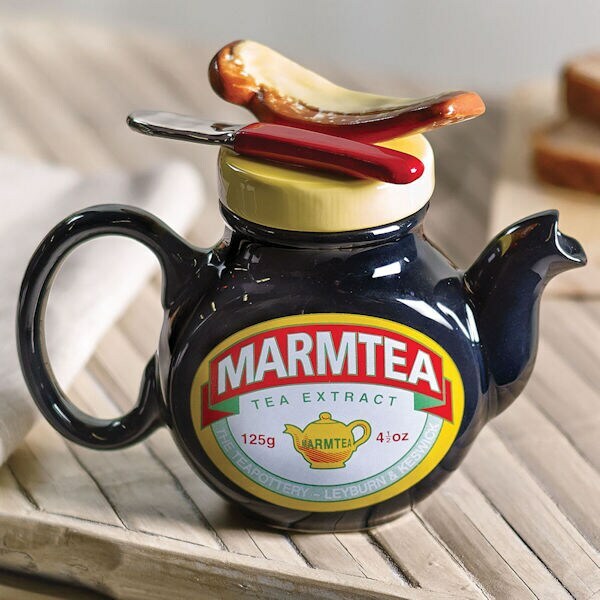 As British as the Queen, Big Ben, and the stiff upper lip, this personal-sized teapot is a nod to Marmite, the thick, sticky spread beloved by the Brits. Inspired by the iconic brown Marmite jar with yellow lid, earthenware pot is topped with a spreader and a slice of toast. Holds 10 oz. 6 ½" wide, 5" high. Hand wash. Made in England.